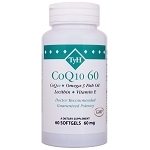 Co-Enzyme Q10 (CoQ10) is found in every cell of your body and readily bioavailable when taken orally. 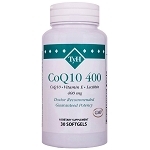 CoQ10 supports mitochondria for energy needs, helps strengthen heart muscle efficiency, is doctor recommended for fibromyalgia and is an effective antioxidant against free radicals. Ubiquinol is the reduced form of CoQ10 for enhanced energy needs. Your body's production of CoQ10 declines after age 40 at a time you need it most so supplementing is the only way to keep an optimal level of this potent protector nutrient.